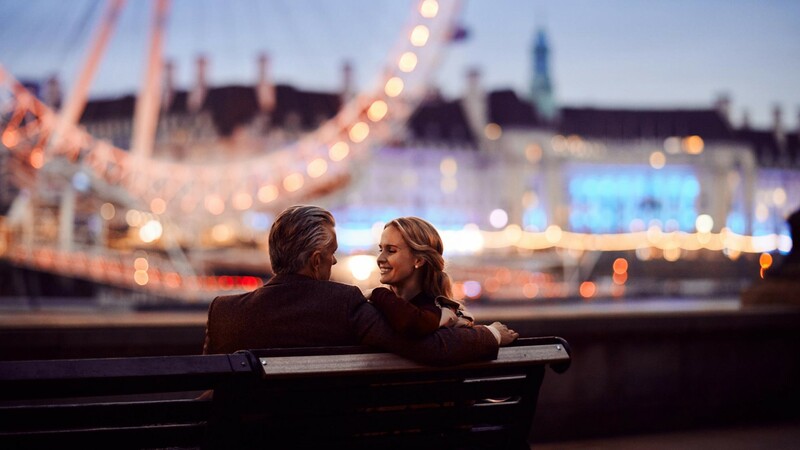 The Savoy, with its location on the River Thames, opulent décor, floral arrangements, world renowned restaurants and award-winning bars, is one of the most romantic places to celebrate Valentine’s. This year, for a truly special occasion treat your beloved to a stay in one of our rooms or suites with breath-taking views over the river, or a memorable experience in one of our restaurants or bars. Should you decide to join us for Valentine’s at The Savoy, we can help make it unforgettable. Kaspar’s at The Savoy offers romance in a vibrant art deco setting, with some of the tables overlooking the River Thames. Our 5-course Valentine’s menu has been designed to offer a memorable experience for your senses using the best of seasonal ingredients. Our Photographer-in-Residence, Dennis Gocer, and his team from The Collective You, will be on-hand to take stunning professional portrait photography of guests should you wish to take a memento home. You will have the chance to book in to have a stunning black and white couples or individual portrait shot. The dramatic black and gold décor of the romantic Beaufort Bar exudes the glamour of a time when stars graced the renowned cabaret stage at The Savoy. Champagne remains to this day the elixir of choice to celebrate love and the expert team offers one of the most extensive choices of Champagne by the glass and by the bottle, as well as exclusive cocktails and mixed drinks. Beauty & Fitness at The Savoy is a calm haven for you and your loved one to relax in together. Escape from it all with a 50 or 80 minute treatment by our experienced therapists who use exceptional products including award winning brand Aromatherapy Associates. The creative floral design team from Savoy Flowers are renowned not just for beautifully romantic bouquets but also for their stunning arrangements throughout rooms and suites. Surprise your loved one with a special bouquet or romantic in-room display. Regarded as the heart of the hotel, the Thames Foyer is a stunning glass domed atrium, radiating sociable warmth. As day turns to night the ambiance becomes a sultry and intimate setting for dinner or evening drinks accompanied by the very best live music in town. With many of our rooms & suites offering stunning views across the River Thames and of London’s most significant landmarks, The Savoy provides a uniquely romantic setting. With either art deco or Edwardian décor, talk to our reservations team about how to make your stay truly special for this year’s most romantic day. Here at The Savoy we see a proposal as a unique and individual experience and a memory that will last forever. This transcends in The Savoy's values to turn moments into memories. The expert Savoy Weddings team will be on-hand using our insight and experience to help you plan your event and look after every detail to make your vision into reality. To assist you, fine jeweller Boodles has an exclusive showroom and boutique in the Front Hall of The Savoy, where you can enjoy a glass of champagne while browsing their magnificent jewellery collection. Share your Valentine’s Day pictures and experiences with us.